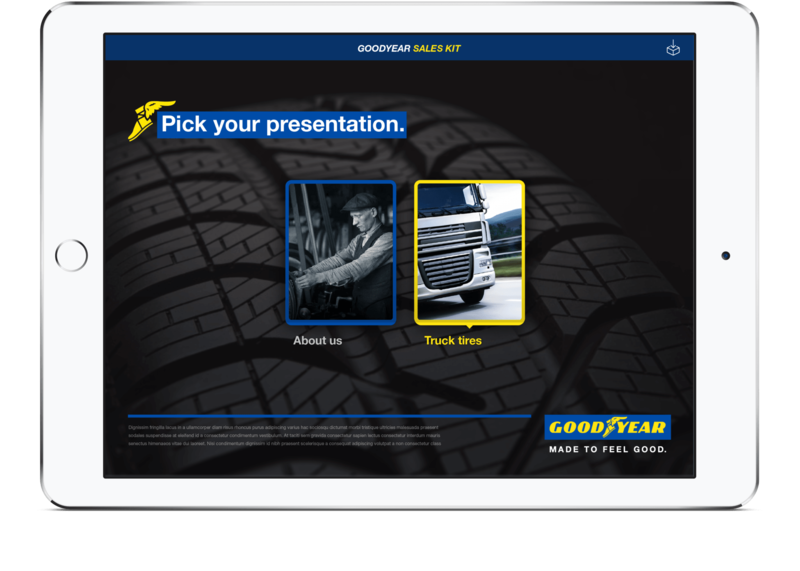 Goodyear approached AtomicMedia to create a data driven sales app that could promote their broad range of products and drive home efficiency during sales to fleet buyers. Our "user first" thinking from the outset ensured that we focussed on not only delivering a high quality technical product, but that it integrated seamlessly into the sales process and customer journey. We determined a robust set of templates would be required to showcase the products along with some more interactive and feature rich elements. How are these tyres different? Why should I buy these over the competitors? Our ability to visualise the answers to these questions in an interactive way would give the sales team a powerful tool to convince customers to buy. With access to brand guidelines we developed a system of templates that would integrate readily with the existing brand. The templates were designed to enable any user to put together a new product or alter existing presentations without detrimentally affecting the overall design appeal. 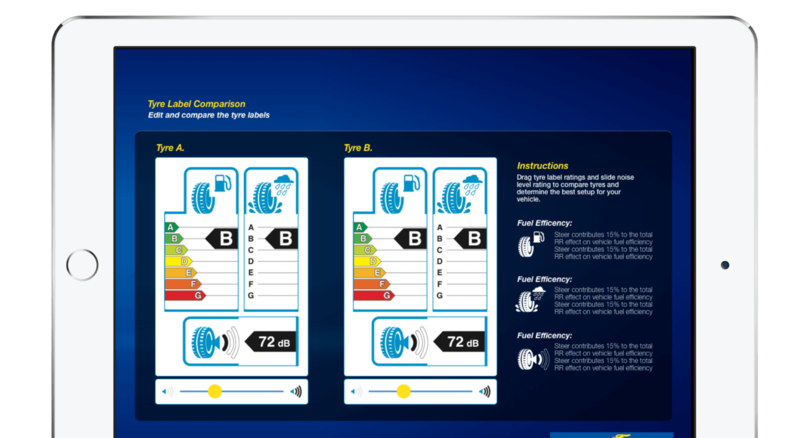 The app allows the salesperson to take the user on a journey to compare tyres against other market leaders and use Goodyear's key differentiators to show the potential savings and performance improvements. The additional fleet savings calculator allow the salesperson and customer to see what effect these efficiencies may have across an entire fleet. A simple to use editor with a powerful preview tool enables the administrator to feel confident in adding and editing presentations. Coupled with user access levels we ensure that data is checked before being packaged and set as content updates for the app. 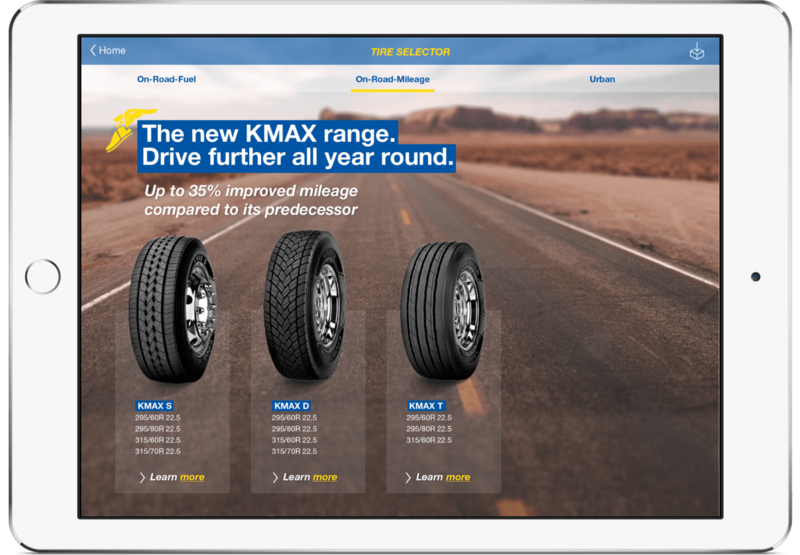 The success of the app resulted in further development to fulfill the needs of other partner brands in the Goodyear family. From it’s inception as a truck app for Goodyear it was then expanded to incorporate the Dunlop brand as well as expanding into the Bus, Coach and Off Road sectors. There are current plans to expand into further product sector and subsidiary brands.